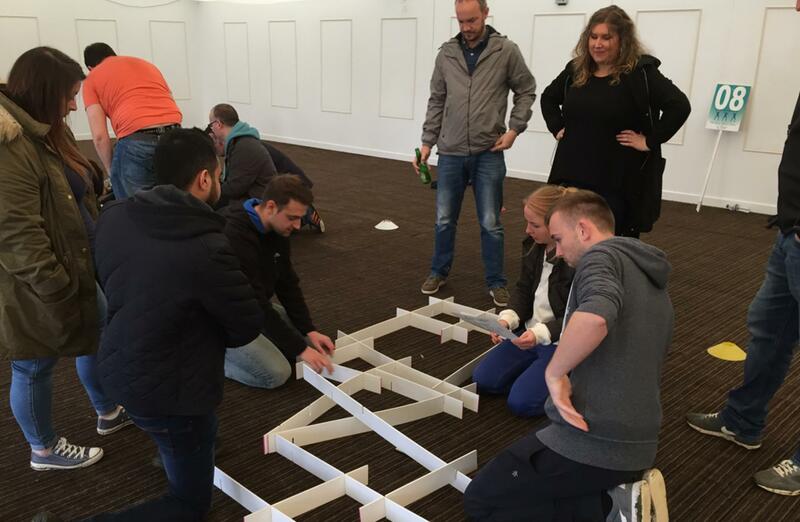 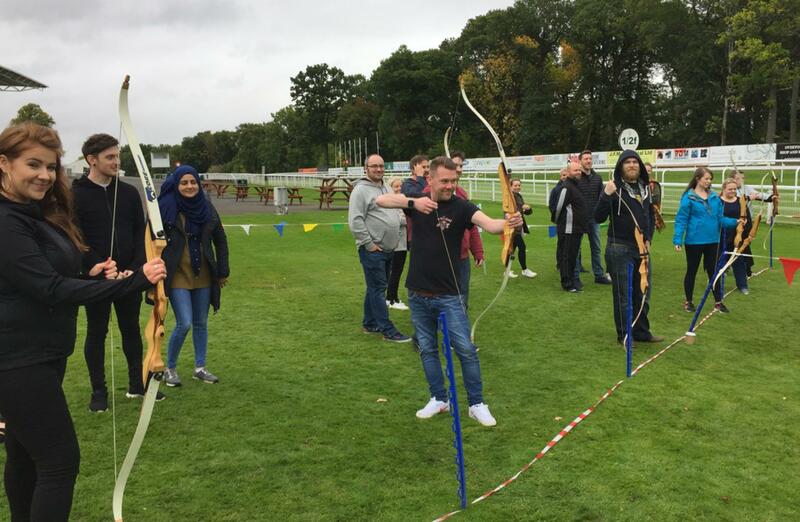 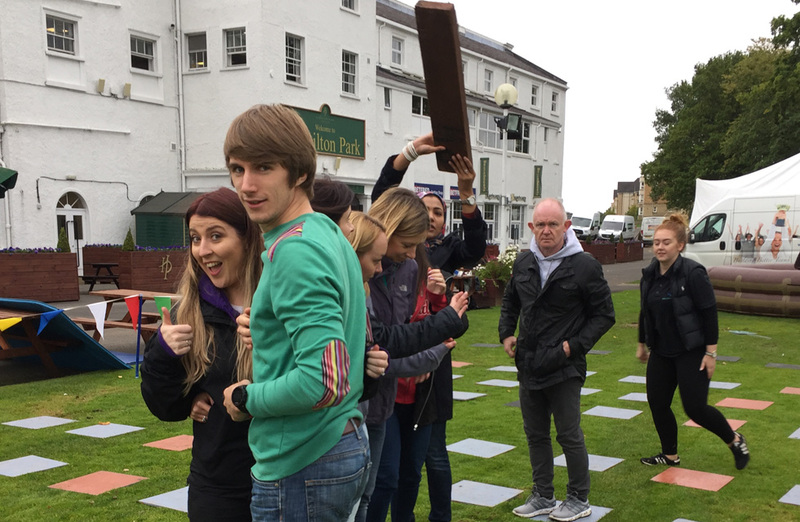 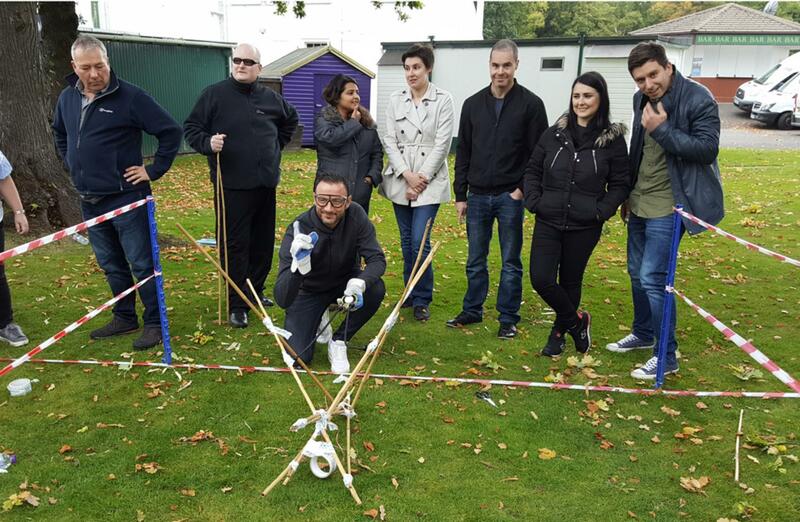 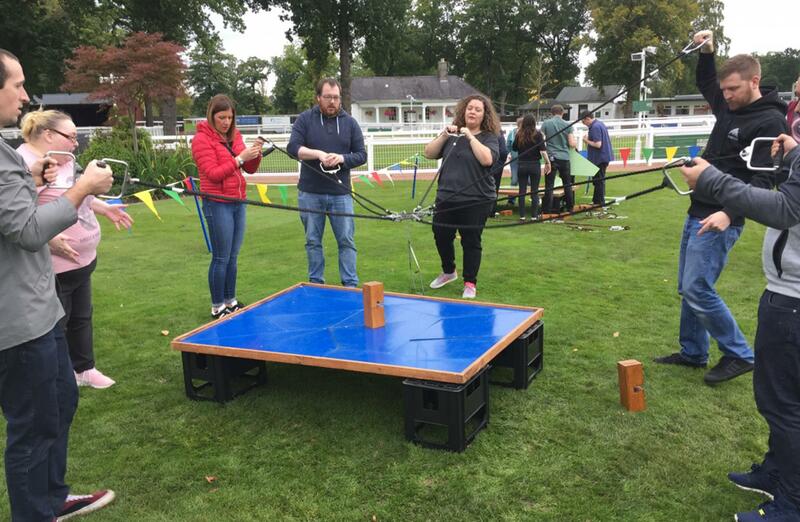 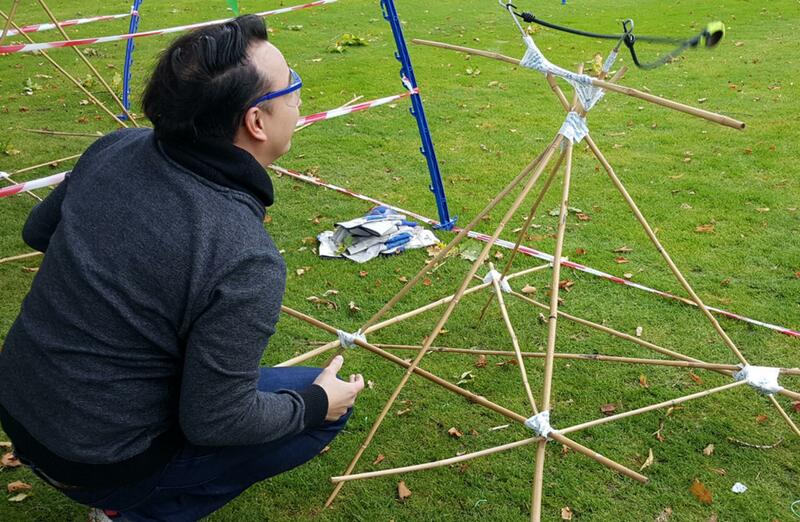 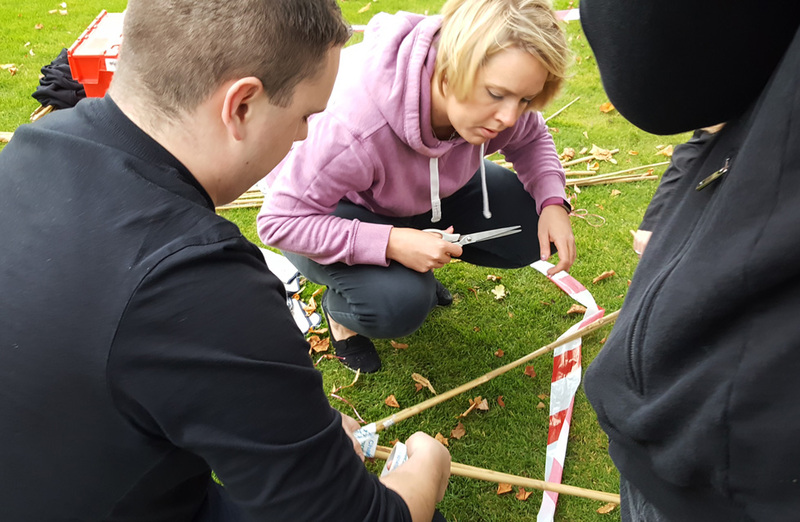 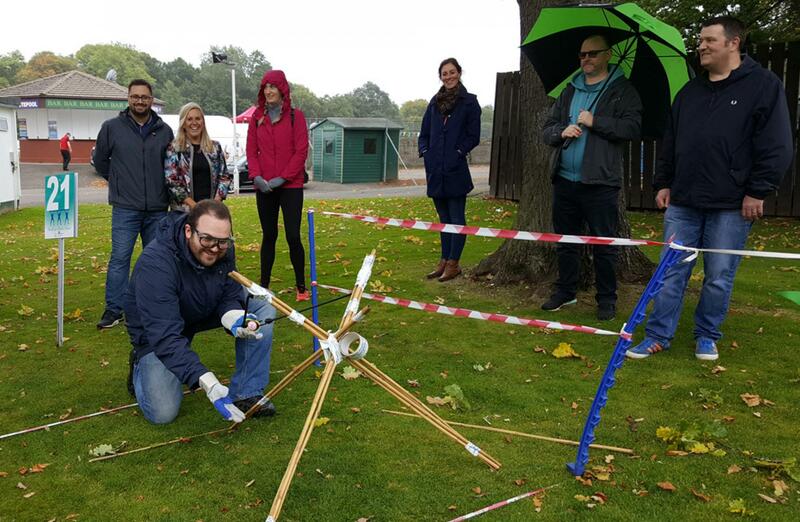 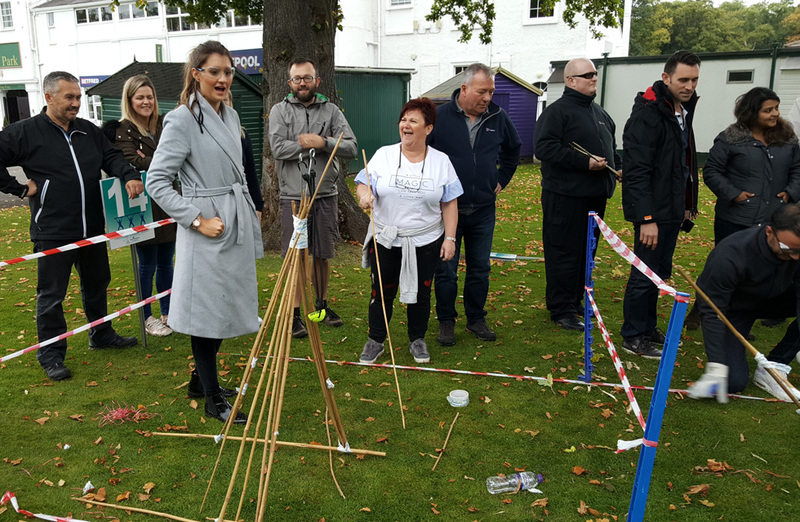 The team from Three were delighted to hear that they were going to be doing a Crystal Challenge Team Building event courtesy of Team Challenge Company. It was the fantastic Hamilton Park Racecourse that played host to today’s summer team day. 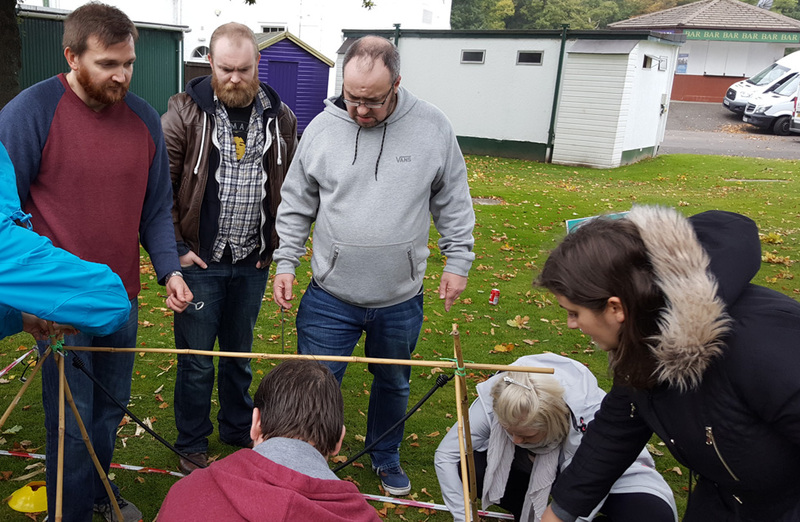 The group were divided into teams ready to set off to win the valuable crystals for some much needed time within the Crystal Dome! 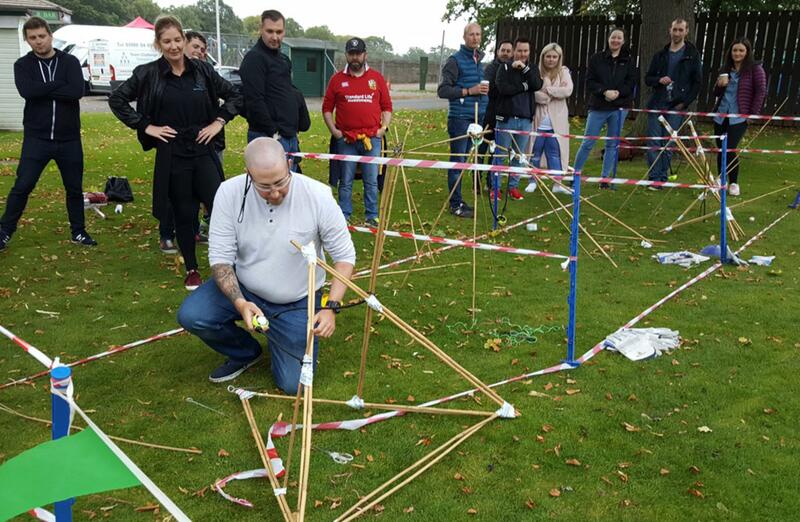 Without further hesitation teams headed to their stations to take on their first challenge of the day. 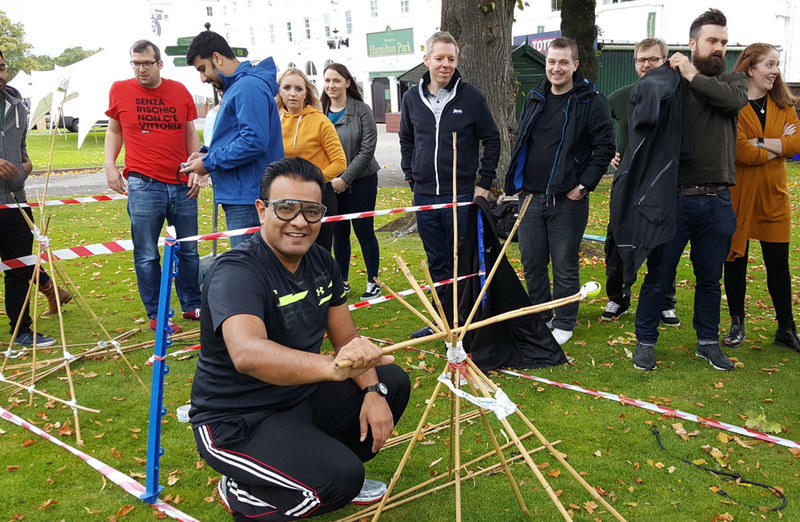 Competition was high at Clock Tower, the first three teams found completing the puzzle hard enough, never mind building the tower! 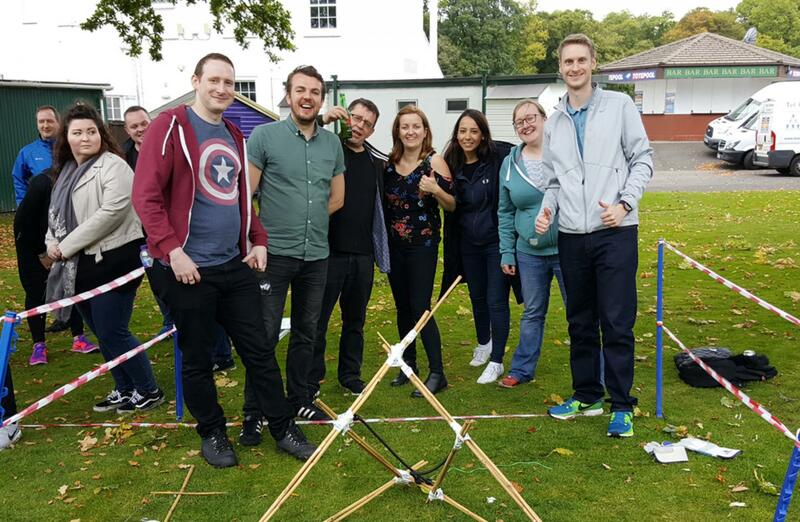 Team 20 were well ahead in completing their puzzle but unfortunately were quickly over taken by Team 19 when it came to stacking the tower block. 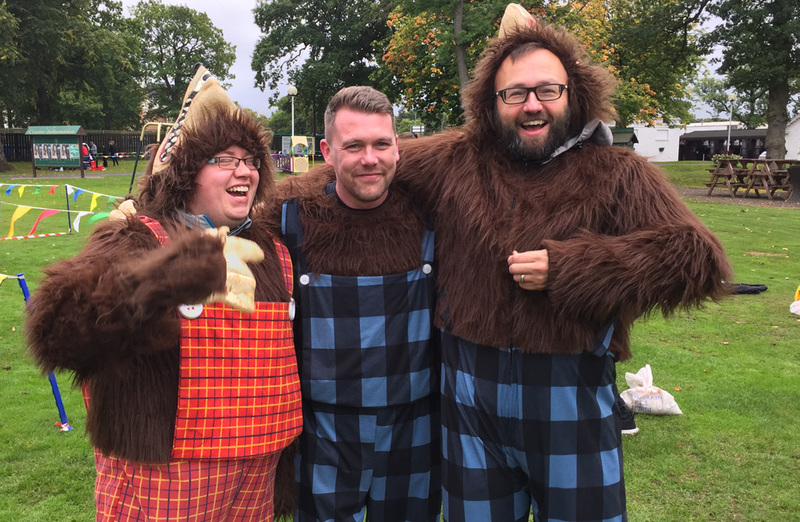 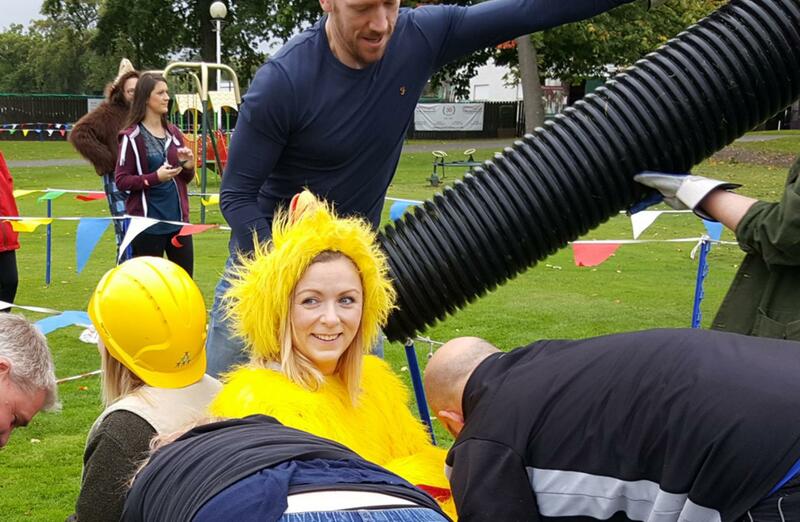 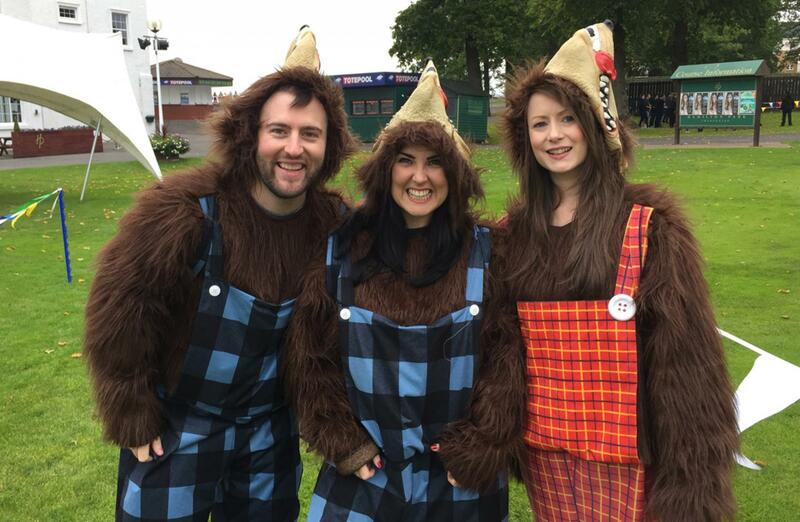 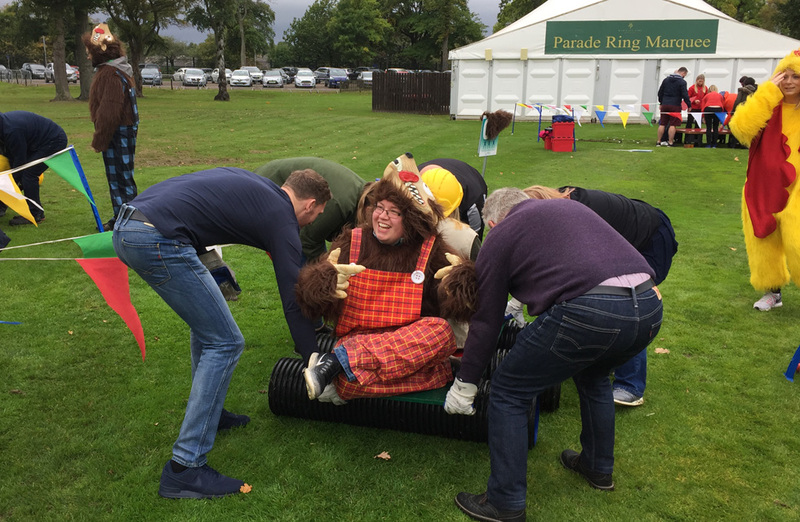 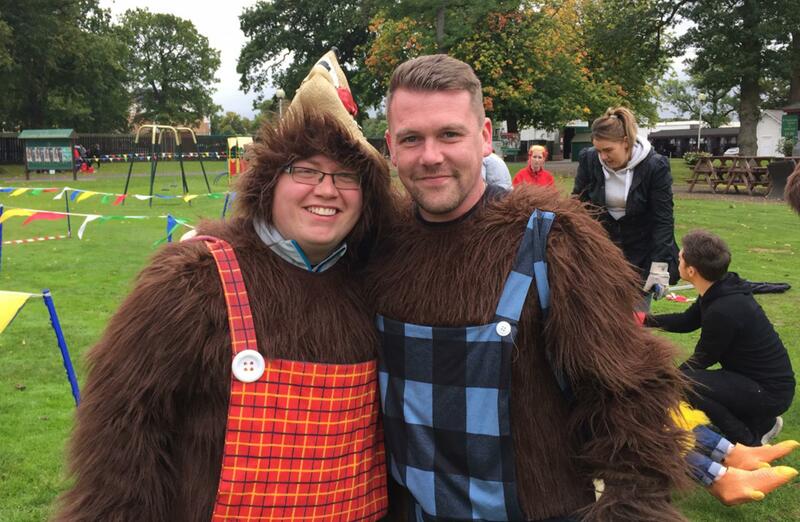 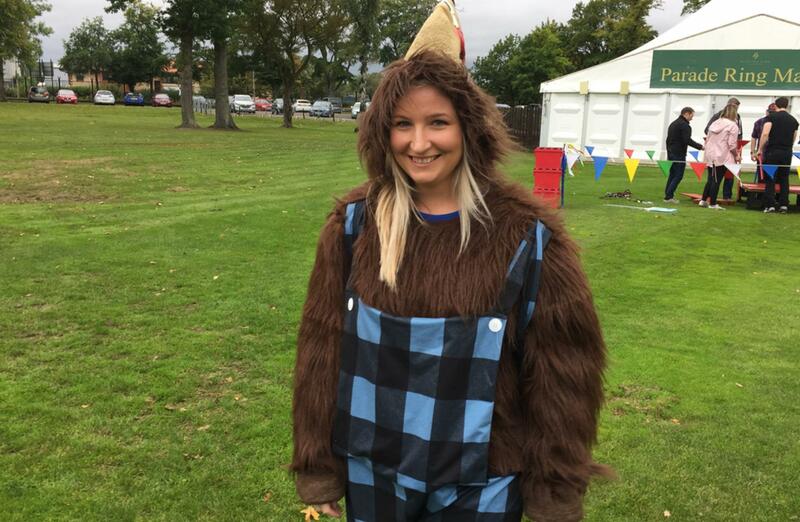 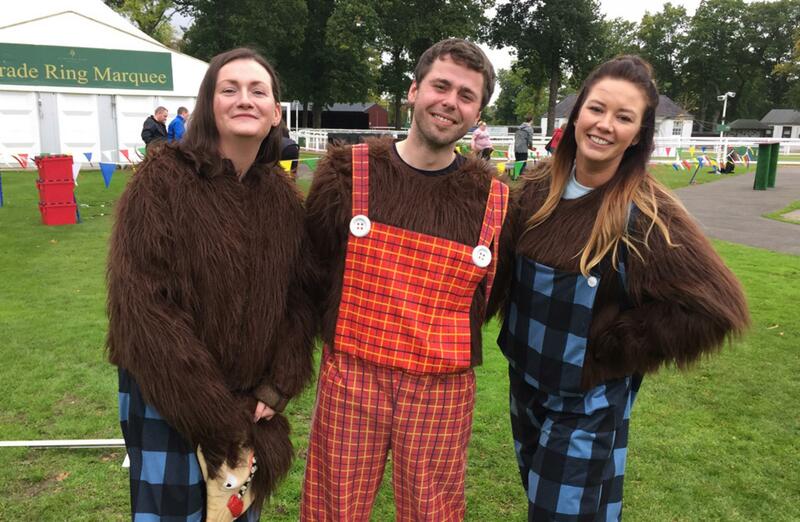 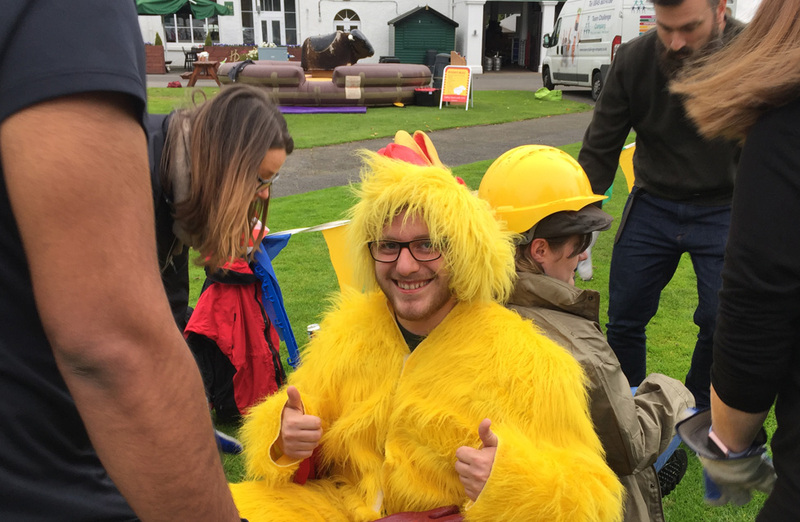 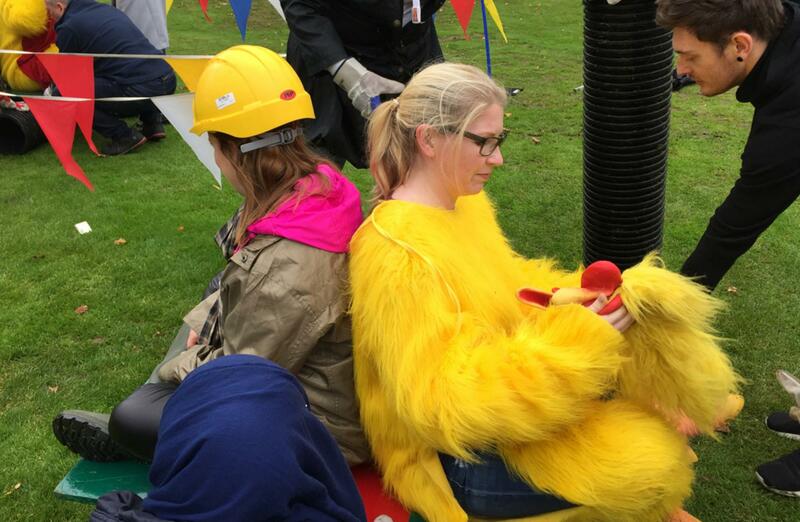 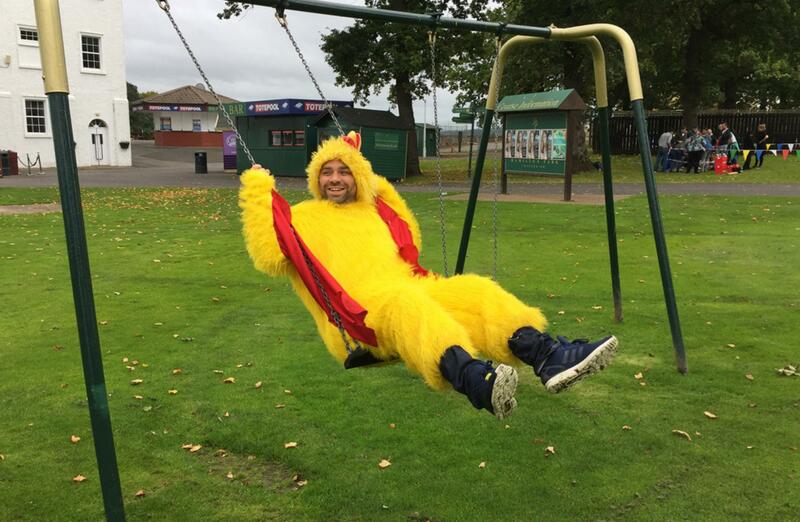 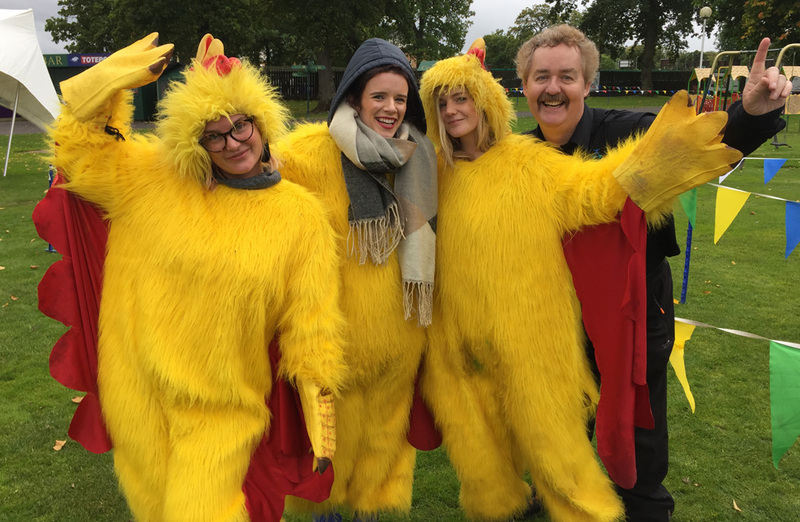 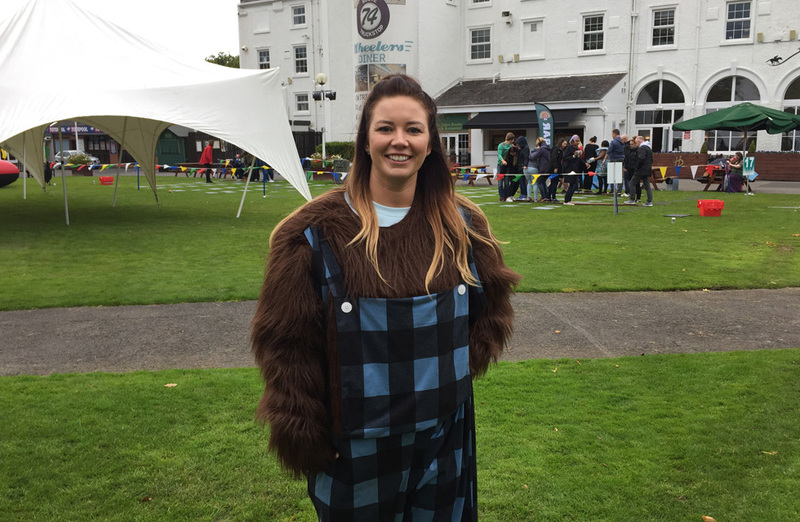 Over at Chicken, Fox and Grain, the teams didn't have a clue what they were about to take part in, however our very own “Chris Evans” from Team 12 emerged confidently from the changing area all dressed up – we had a Chicken, Fox & a Farmer. 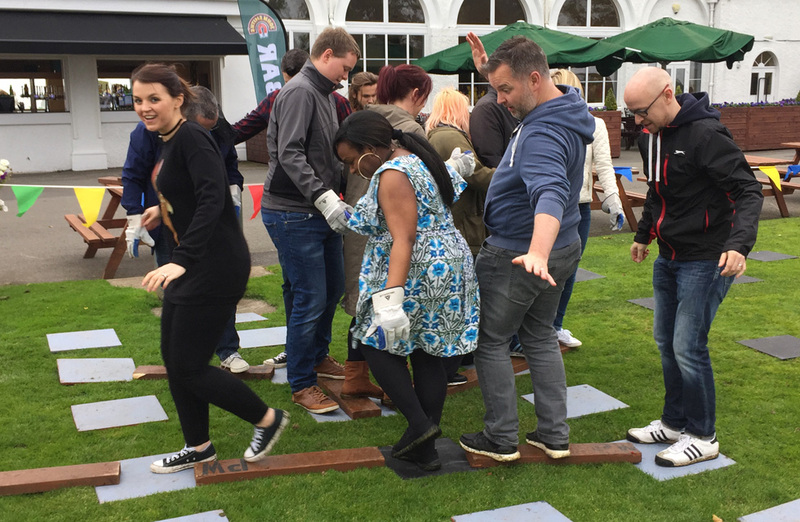 Despite competitive spirits being high, most the teams didn’t let this get in the way and were successful at this. 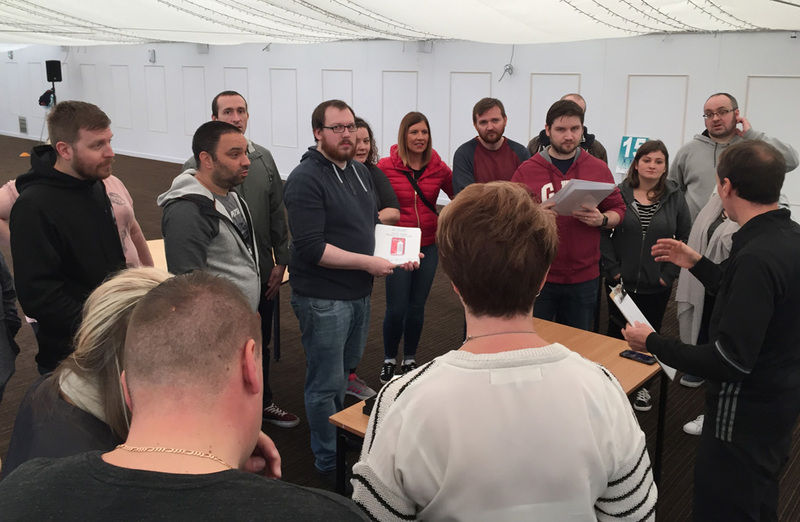 We then got all the teams back into the Challenge Ring to see who was a dab hand at DIY! 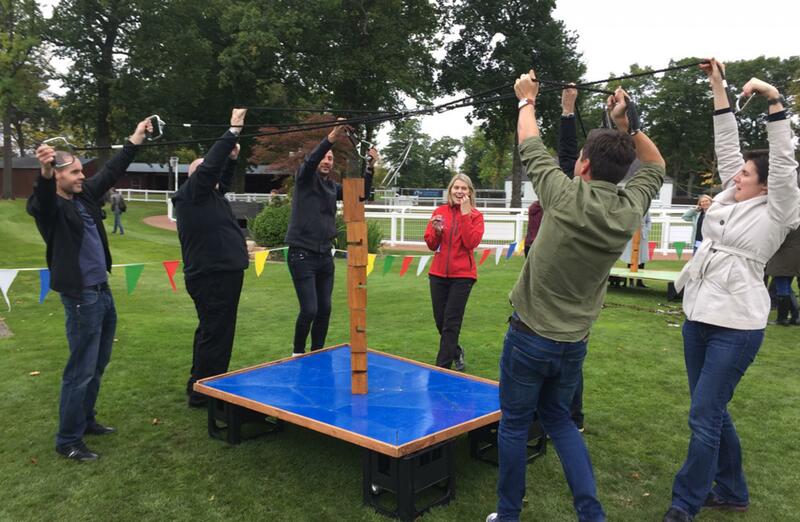 Nail the Wood really did have the testosterone levels increasing with all the men at the event. 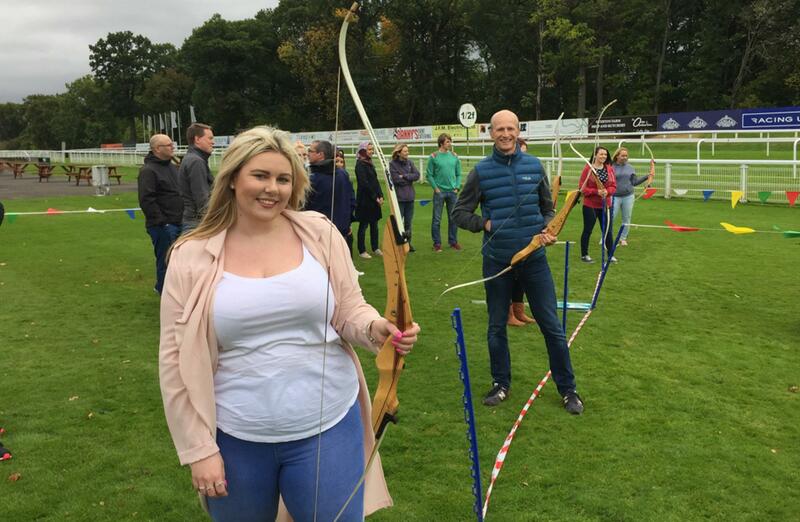 This didn’t stop Leanne from giving it her all and putting all the men to shame, hammering the nail way below target and taken away a bonus crystal for her team! 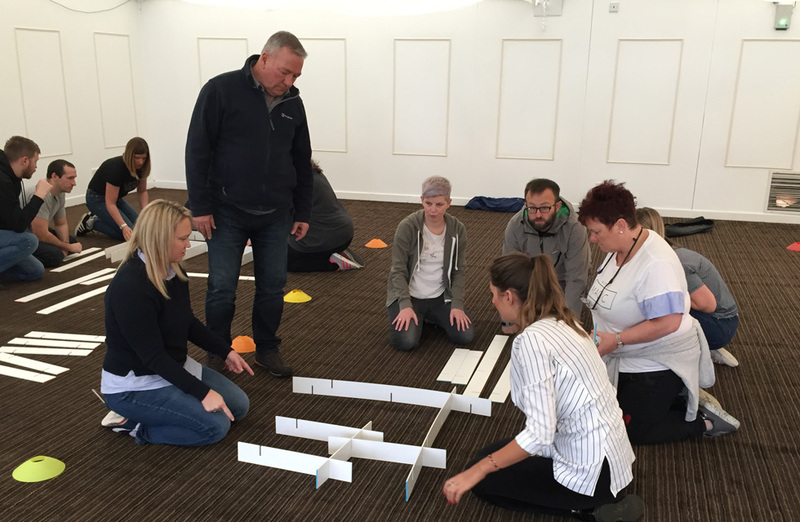 Energy was high and the groups were keen to get back out to their team challenges! 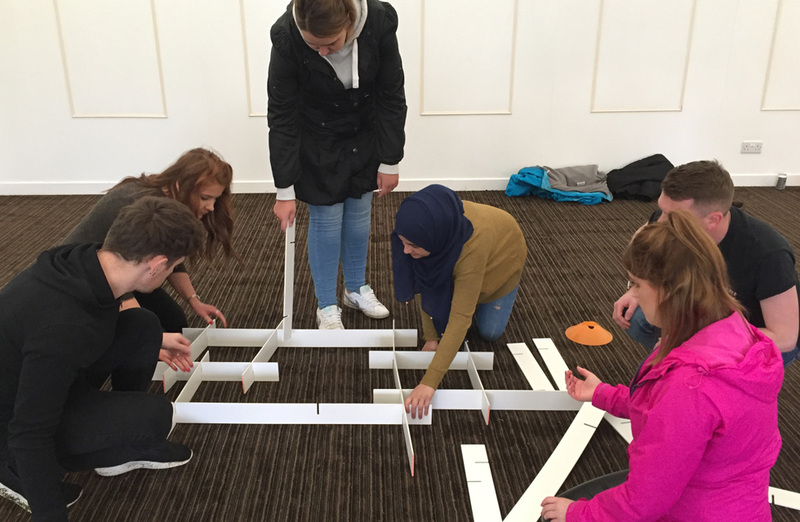 Inside at Interlocker challenge, minds were boggled trying to put the final pieces into place to complete the puzzle. 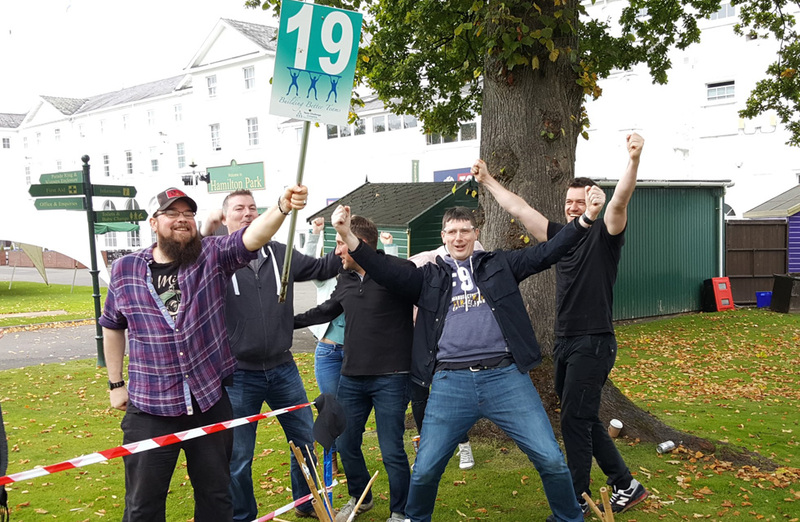 Our best team of the day completed this in just over 12 minutes (this may even be a TCC record)! 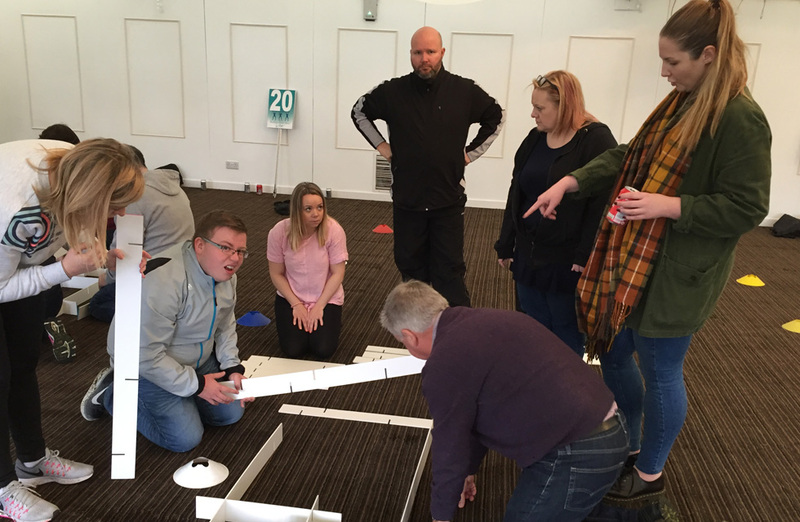 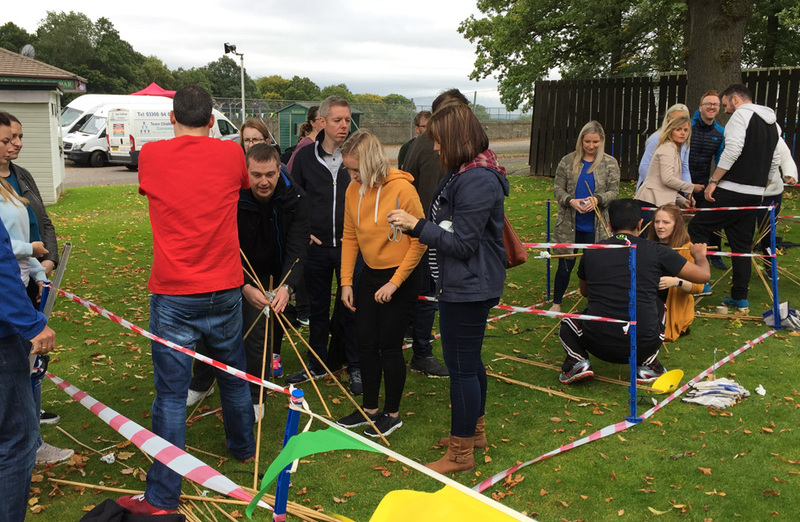 The teams excelled, showing great team work to complete the task and competition was kept high with teams, quietly, competing against the teams beside them. 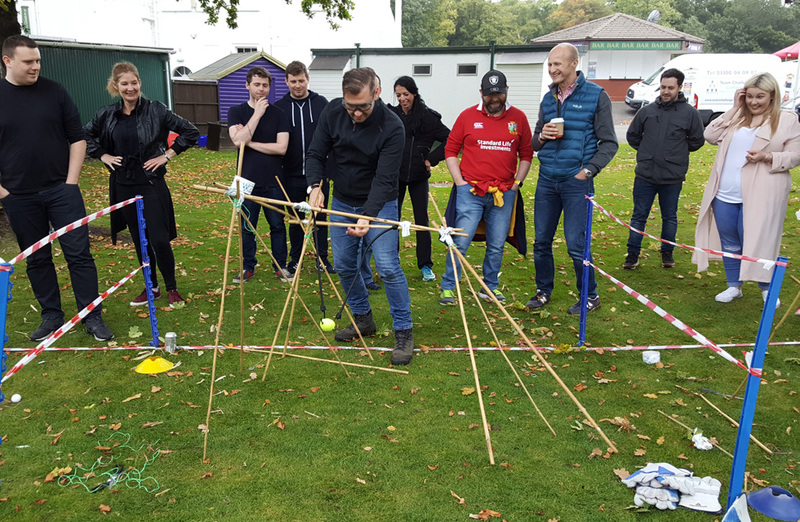 Once the guests were all fed and watered ready for more fun and friendly competition we got everyone together to take on our Hole in One challenge. 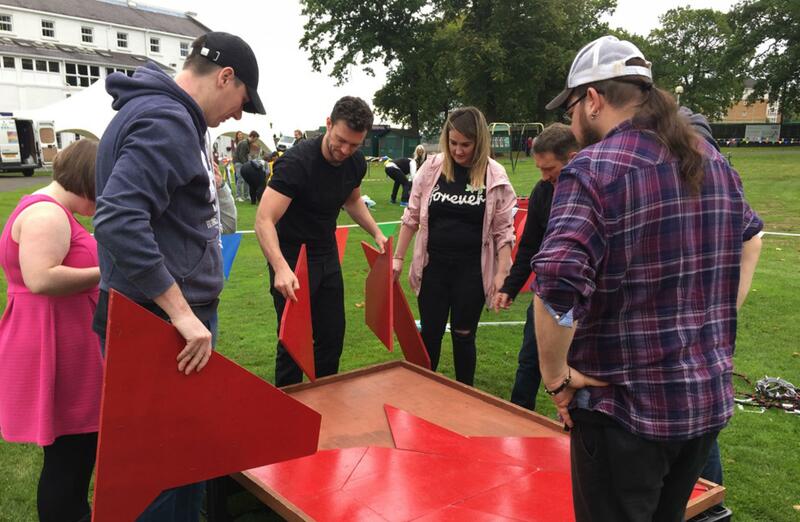 Unfortunately, not enough crystals were handed out at all, considering the teams previous performances. 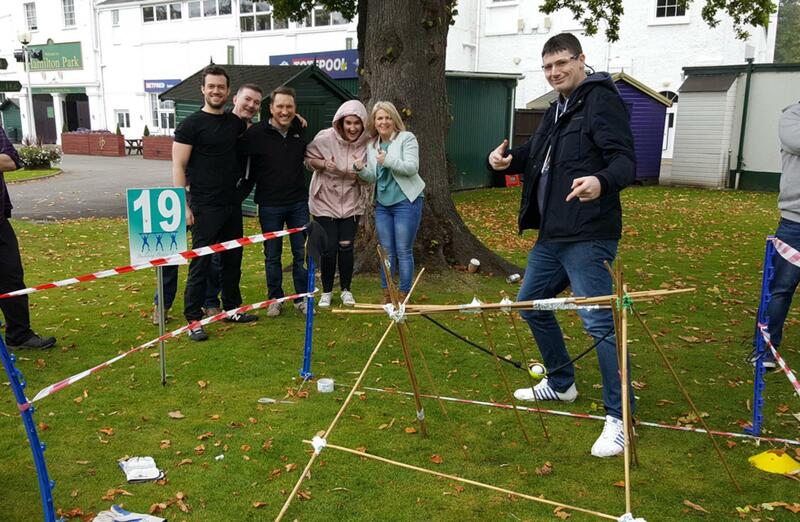 For the afternoon, everyone had their eye on Team 17 as they had the most crystals out of all of the groups. 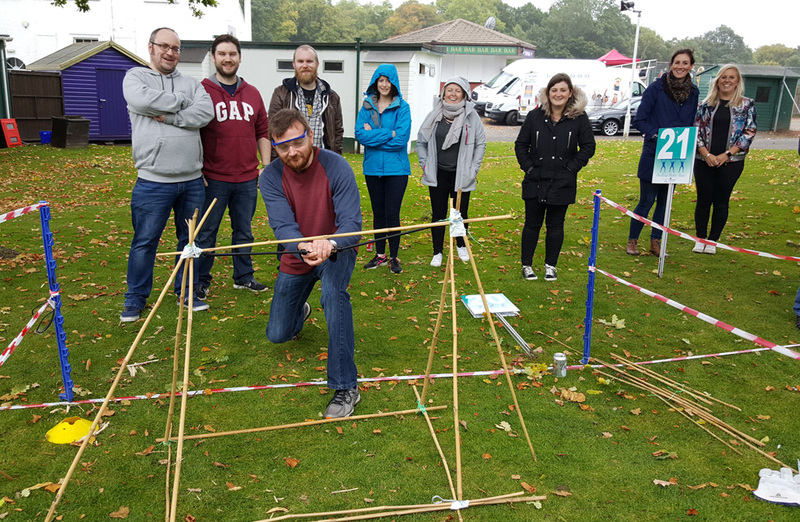 Once all teams had visited all the stations it all came down to the Crystal Dome finale, Team 17 with 16 crystals, Team 24 with 14 crystals and Team 10 with 10 crystals were the top three teams given time to enter the Crystal Dome! As all the teams gathered, we started the fans! 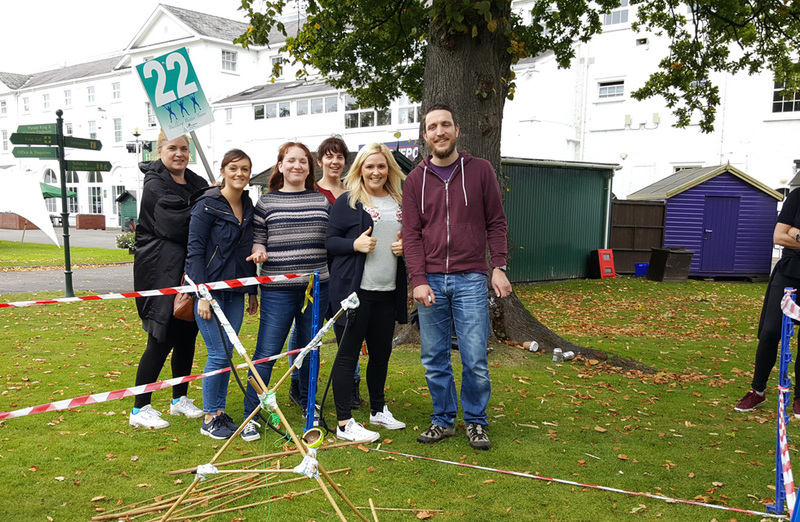 Team 24 did terribly ending up with minus £100 while Team 17 kept themselves at the top of the leader board, coming out with £600! 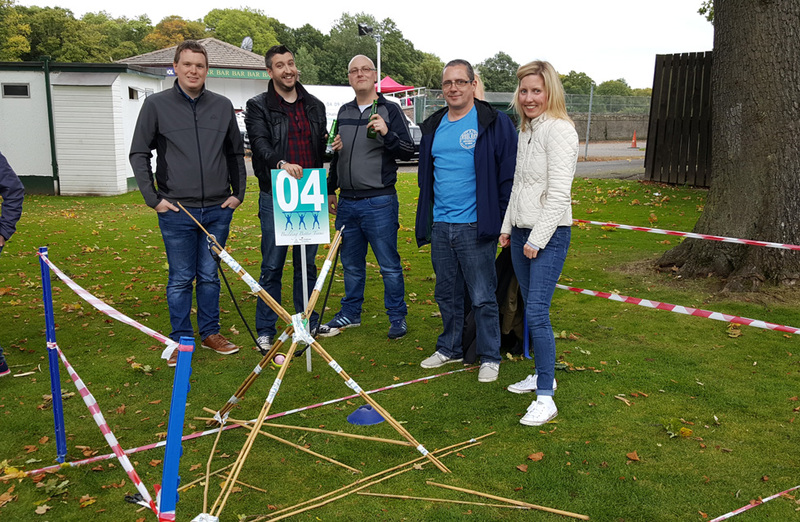 Coming out on top of the day it was Team 17 taking home the much sought after Team Challenge Company Trophy while Team 1 & 22 walked away with the wooden spoon as the lowest scoring teams of the day! 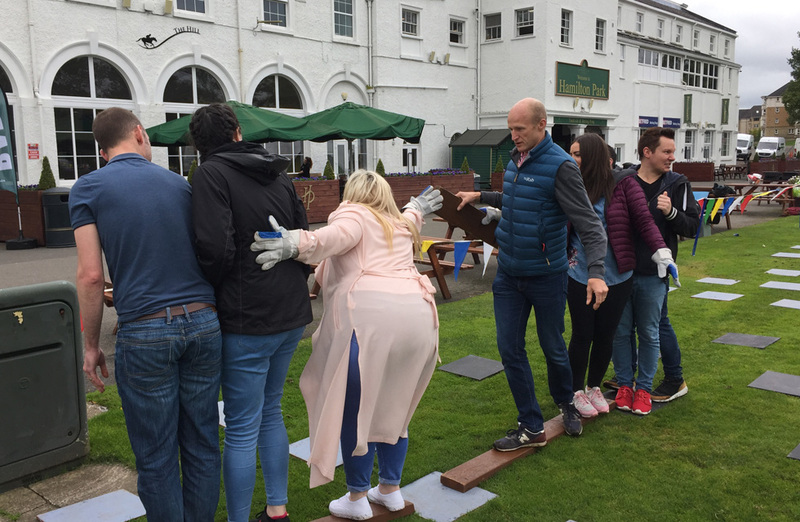 For the rest of the afternoon guests enjoyed trying to keep on top of the Bucking Bronco and challenging opposing teams on the Human Table Football! 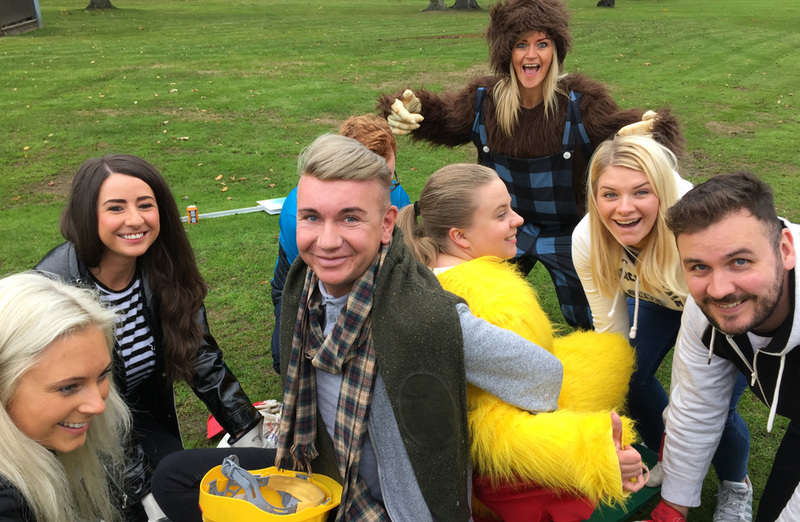 While indoors, guests were in for a Bush Tucker surprise – eating bugs and guessing what slimey dish they were dunking their hands into! 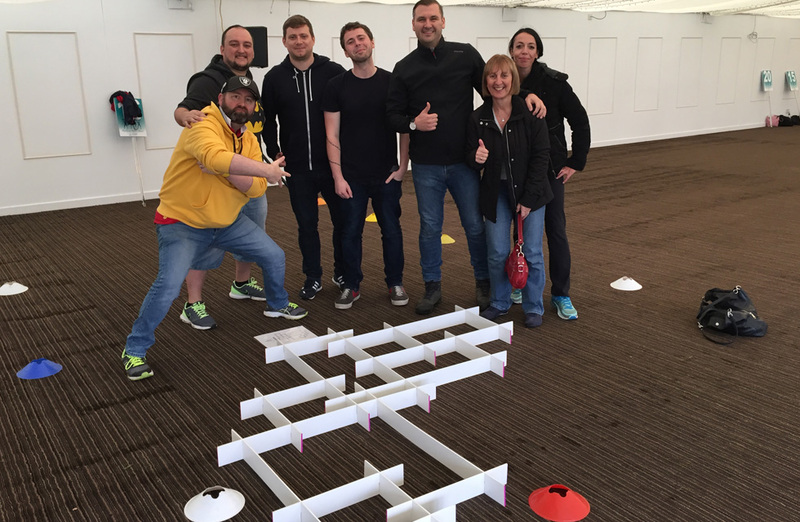 It was a pleasure to work with such a great team of people from Three who put everything in to each challenge! 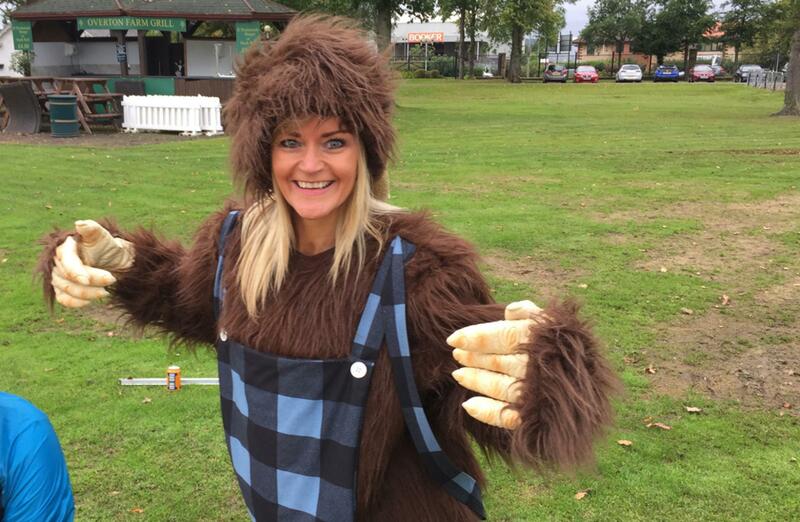 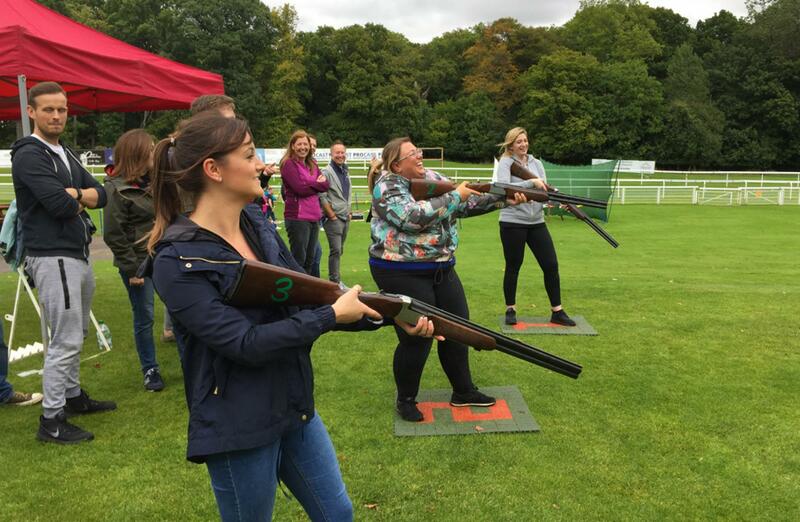 Of course a special thanks to Karen for organising such an amazing day – we can’t wait for to hear your next plans! 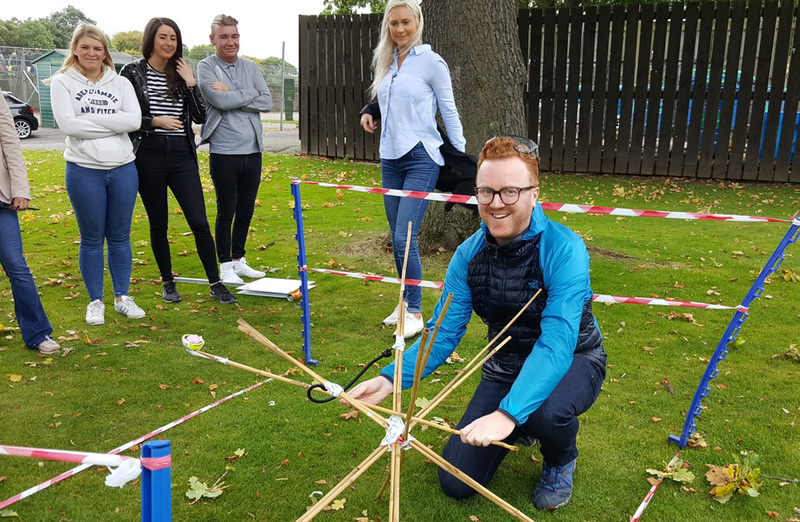 What an absolute pleasure to work with Karen and the entire team at Three in designing and delivering this fantastic, fun-filled and highly competitive day of Crystal Challenge team building. 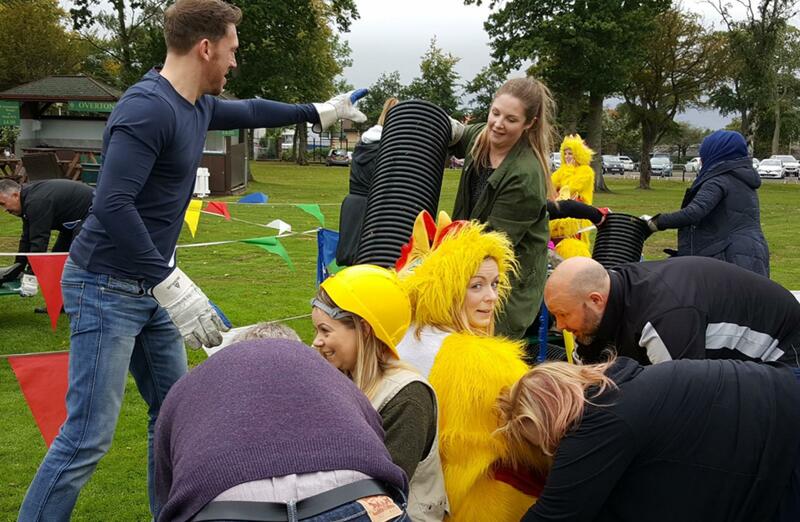 From start to finish our wonderful guests from Three really got into the spirit of the day, throwing themselves into the challenges and producing some quality results throughout! 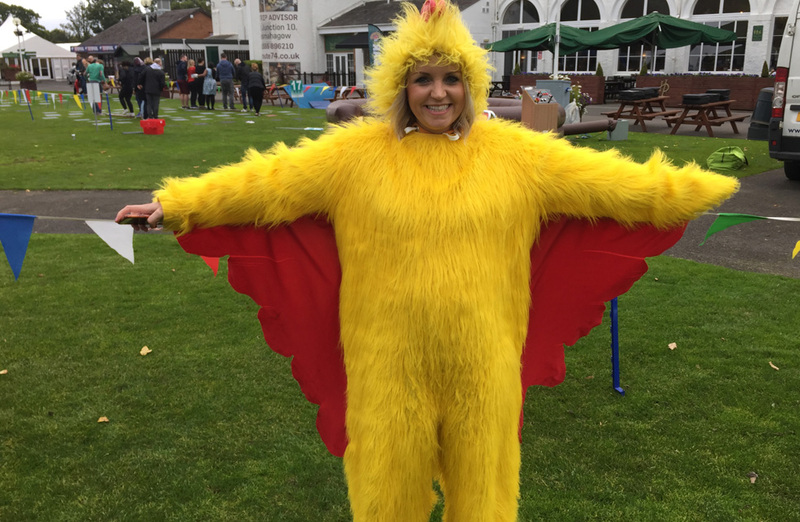 Karen did a huge amount of working in pulling together this brilliant day, and a massive thank you must go to here for all her efforts. Great job all round, and very much looking forward to the re-match!